The correct lighting can make or break a BBQ party. Too dark in the evening and you can burn your meat, to bright and you attract all the flies. 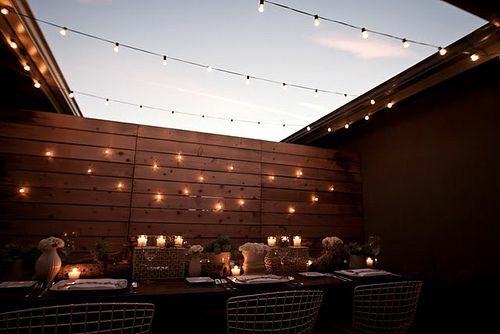 Set up a nice array of ambient fairy lights and candles and it won’t matter how your food tastes, your guests will just remember the beautiful atmosphere. There are many options such as solar powered portable lamps, garden spotlights to place in the grass or round solar powered decking lights. Think multiple sources rather than one spotlight. You need to plan a BBQ in advance usually but you can’t be guaranteed a sunny day. Your best bet is to plan for all eventualities. Drape a series of blankets across the chairs for guests to use if the weather turns a little chilly. Choose to grill in an area away from the wind in case it gets blustery, use ceramic cookware to keep food warmer longer and choose quick-cooking cuts of meat. 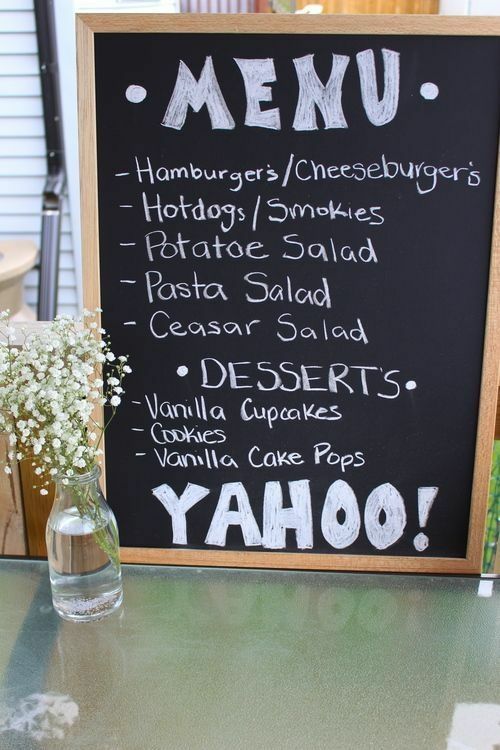 Why not let your guests know what to expect when they arrive and give your BBQ a professional air with a nicely written menu board, in your neatest handwriting. Don’t forget a veggie option and list drink options too. 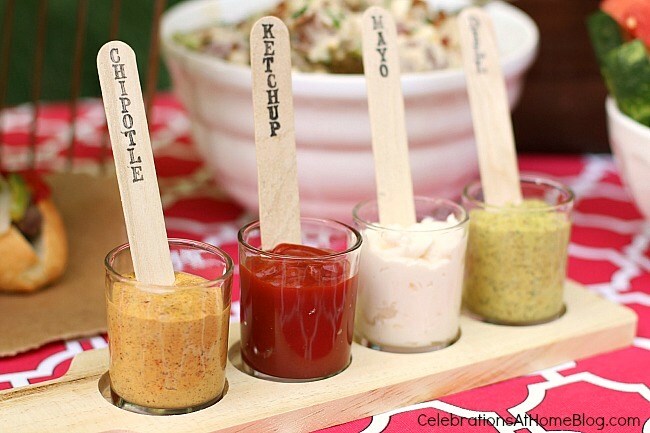 Label your condiments in nice bowls with their sauce written on ice pop sticks, use coffee filters as hot dog holders for a frilly wrapper look and store salads outside in lidded containers to keep them fresh and insect-free. Have plenty of napkins at the ready and a rubbish bin outside to collect all the mess. Have a series of games laid out to keep the kids occupied and the adults later, such as cards, twister, plastic pool, bubbles, croquet and boules. Don’t own a BBQ? There are countless tutorials online on how to make your own from using a discarded washing machine drum to making your very own clay or brick pizza oven. Adding a small chimney starter to your BBQ will help get the charcoal fire started. Your BBQ may not be too shabby but is just in need of an upgrade or a coat of paint to get it looking a bit more respectable.